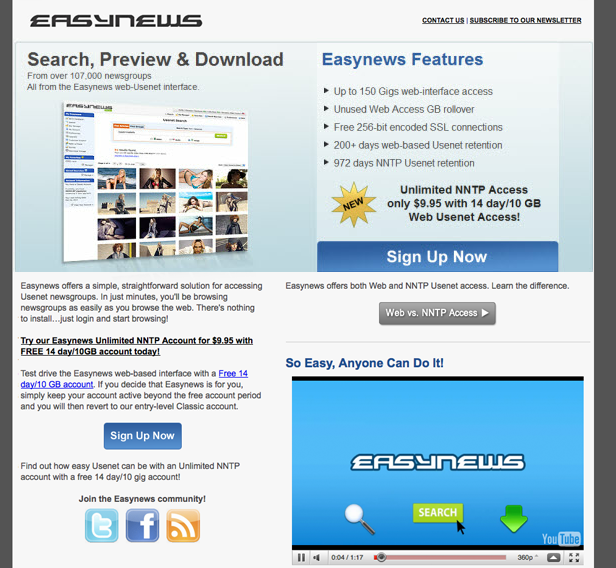 From 2010 – 2012, I produced online marketing campaigns for 4 brands (IPVanish, Newshosting, UsenetServer and Easynews) while at Highwinds. 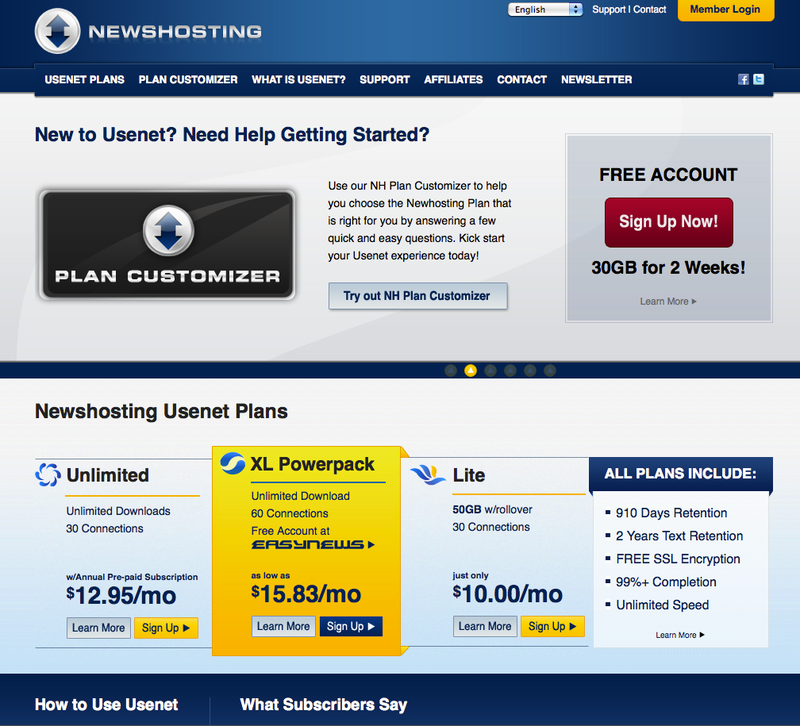 As a member of the Online Services team, I developed online marketing strategies for several new products including IPVanish VPN and the Newshosting App. Our efforts increased subscriptions by a significant percent year-over-year. 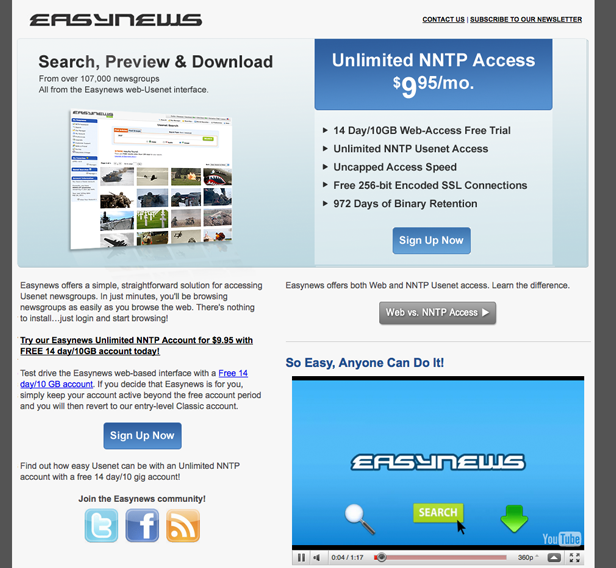 Easynews Affiliate Test: Landing page redesign increased conversions by 51.4%. 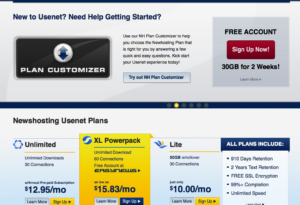 UsenetServer headline testing increased conversions by 35.6%. 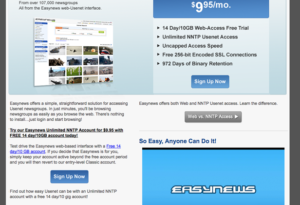 Changed from “Best Usenet Value Ever” to “Best Quality, Lowest Price” out of 10 potential new headlines. 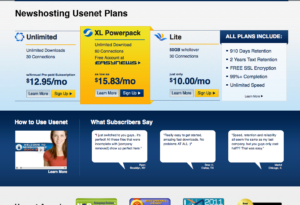 Newshosting homepage redesign increased conversions by 21% by removing the slides at the top. Newshosting headline testing increased conversions by another 21.4%. 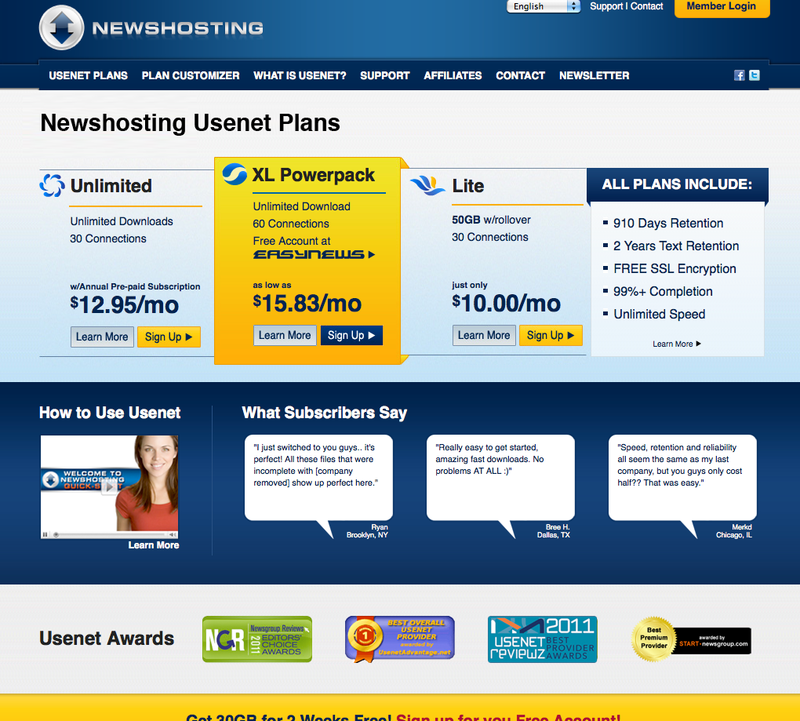 Changed from “Newshosting Usenet Plans” to “Newshosting, Your Usenet Connection” out of 10 potential new headlines. 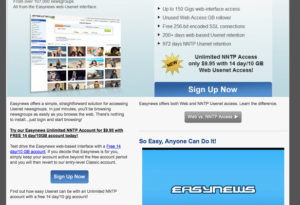 Newshosting increased conversions by 16.7% by testing button text. ISPnews.com: 126 New Posts. 218,402 unique visitors, 265,912 pageviews, About 18k monthly visitors.